Sometimes it’s better if someone else says it. You know things need to change, and new ideas need to be introduced. You could get up and say it – but it might be better if someone else said it, someone from ‘outside’, with no history. An outside voice adds credibility and facilitates the discussion. CREST can be that voice for you. We can work with you from as short as half a day to a series of Leadership Development Events. Drawing from decades of church leadership experience, the CREST Team brings more than theory. Dr. Terry Young is presently a member of the Crest Leadership Board and serves as a Facilitator for the Masters in Christian Leadership degree. He has previously held pastoral leadership positions, most recently at First Alliance Church in Calgary, Fort McMurray Alliance Church, and River of Life Alliance in Calgary. 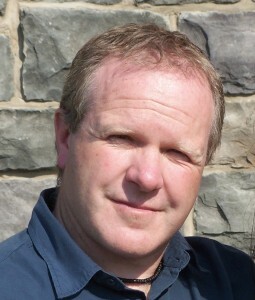 Terry is currently Associate Professor of Pastoral Theology at Ambrose University. Having completed doctoral research at Gonzaga University on holding environments for leaders in 2004, his desire is to encourage, inspire, and equip leaders who find themselves on the complex front-line of leadership. He is presently researching, writing, and presenting on The Front Porch Effect™ which explores the vital role of reflection in personal and organizational leadership. If he ever writes a best-seller it will be entitled, The Purpose Driven Prayer of Jabez in The Shack Code. Terry is married to Maureen and they share together a family of four grown children and several grandchildren. 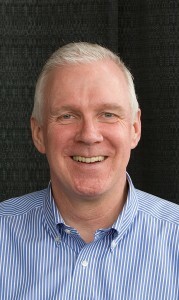 Dr. Dan Reinhardt is the Founder and President of the CREST Leadership Program. Leadership development has always been a part of his life. As a youngster he watched his missionary parents train leaders in India. After completing a Bachelor in Bible degree in the USA he traveled to Jerusalem where he earned a Masters in the History and Geography of Ancient Israel. He learned and practiced leadership skills leading Hillcrest Church from 270 to 1200 in attendance, with eight associate pastors. He earned a Doctor of Ministry in Leadership from Asbury Seminary. His doctoral thesis became the foundation for launching the CREST Leadership Program. Dan and his wife, Anne, have four grown children and several grandchildren. He loves working with his hands in his woodworking shop. 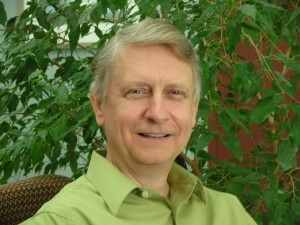 Dr. Reinhardt has served on national boards: As a founding Director for Home School Legal Defense Association of Canada which defends the right of parents to educate their own children; and as a Director for The Leadership Centre / Willow Creek Canada, a ministry to equip the church in Canada for leadership. John Pritchard graduated from CREST with a Masters of Christian Leadership in 2006, one of the first CREST graduates. He was one of the original members of the CREST Board of Directors. John served as pastor of several churches around Alberta for 25 years and is currently on staff at Centre Street Church in Calgary as Lead Pastor of East Edge Home Churches. He has served as interim CEO of Seed of Hope Community Development in South Africa, and has led several mission teams to serve there. John is married to Trish and they have a daughter, two sons, two daughters-in-law, and two grandsons.